Martinique is the third largest island in the Lesser Antilles, which form like an island arc the boundary of the Eastern Caribbean Sea with the Atlantic Ocean. It has an area of 1,128 sq km and is an overseas department of France. The north is mountainous with rain forests dominated by the Mount Pelée, an impressive volcano. The south is adorned by many beautiful beaches. The Lesser Antilles and the Greater Antilles compose the Antilles, which are part of the West Indies along with the Bahamas, the Cayman Islands, and the Turks and Caicos Islands. The Lesser Antilles, also known as the Caribbees, are divided into three groups. The main groups are the Leeward Islands in the north and the Windward Islands in the south, so called because they were more windward to sailing ships arriving in the New World than the Leeward Islands, as the prevailing winds blow from east to west. The trans-Atlantic currents and winds that provided the fastest route across the ocean was the reason for this distinction. The third group is the Leeward Antilles in the west just off the coast of Venezuela. Martinique is the northern of the Windward Islands too close to the imaginary division line between the two main groups, south of Dominica, the southern of the Leeward Islands. South of Martinique is the island of St. Lucia. Martinique has a land area of 1,128 sq km, a length of 70 km in length, a width of 30 km and an indented coastline. The northern part is mountainous with lush forests. At the edge of the north rises the Piton (Peak) Conil overlooking the Dominica Chanel; a little further south is Mount Pelée, an active volcano at a height of 1,397m, the highest point of the island; there is also the Morne Jacob and further south the Pitons du Carbet, five extinct volcanoes, an area with rainforest dominating the Bay of Fort-de-France at a height of 1,196m. 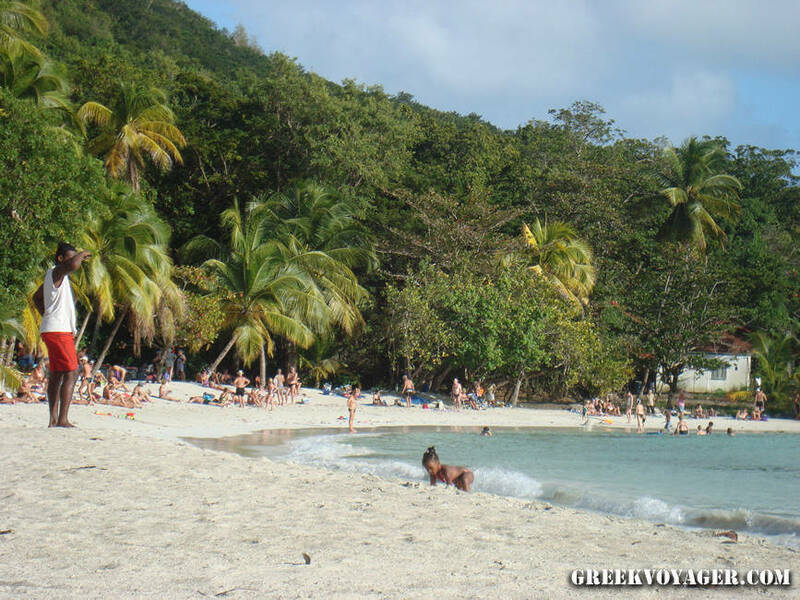 The southern part of the island is more easily accessible; as we go south we find more and more beautiful beaches. 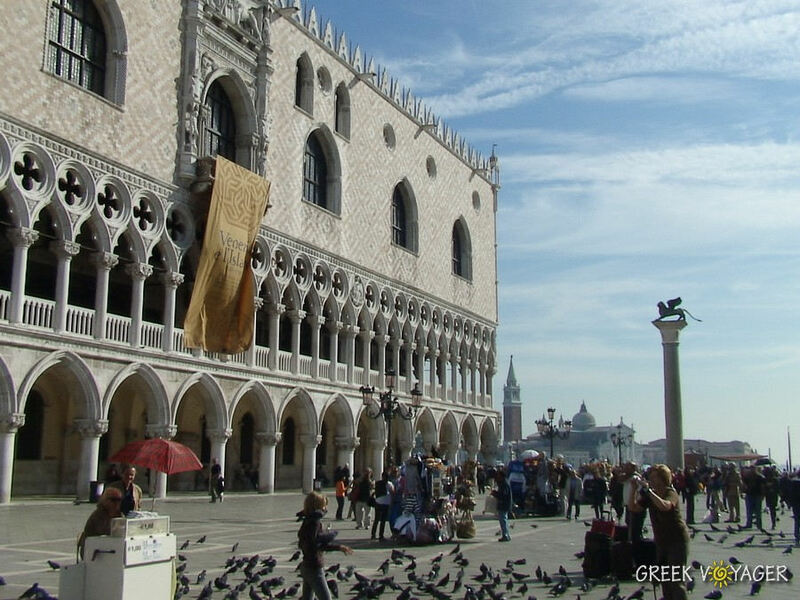 This area attracts the largest tourist traffic. Martinique has a population of 400.000 inhabitants. As an overseas region of France, like Guadeloupe in the Leeward Islands, is part of the European Union and its currency is the euro. The official language is French; many people also speak Antillean Creole (Créole Martiniquais). 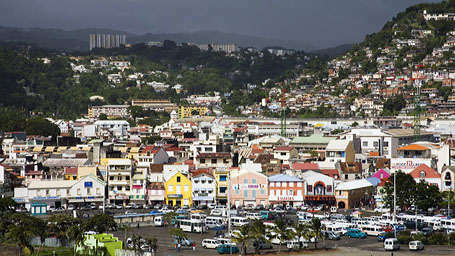 The capital is Fort-de-France at the middle of the west coast, on the northern side of the bay with the same name. The climate is tropical and humid moderated by the winds. 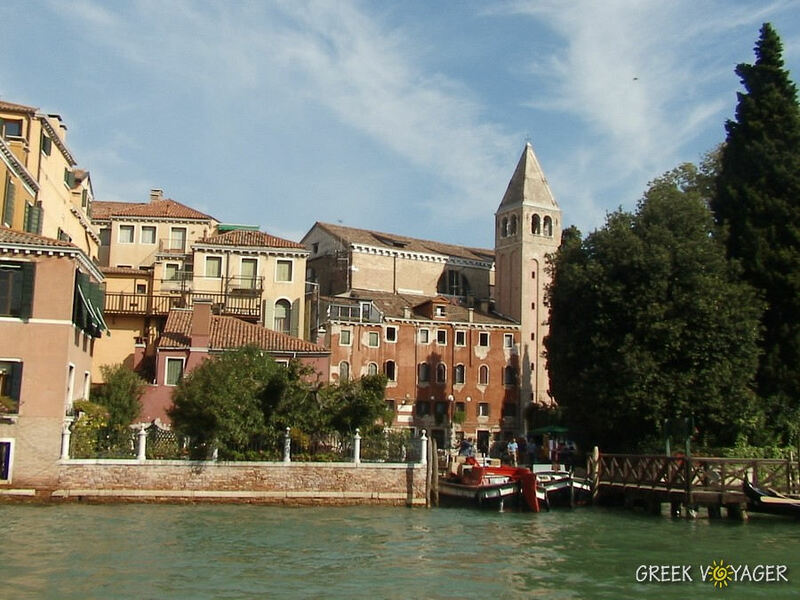 The ideal period to visit the island is from December to June. The high tourist season is from December to the end of April. In May and June the temperature is still pleasant and tourist traffic is less. 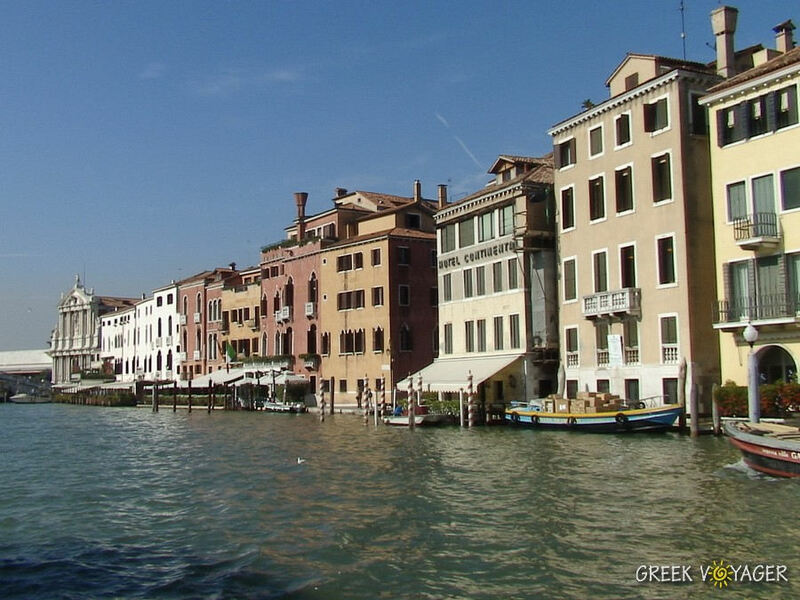 Τhe climate is rather dry with an acceptable level of humidity. The rainy season is from June to October. 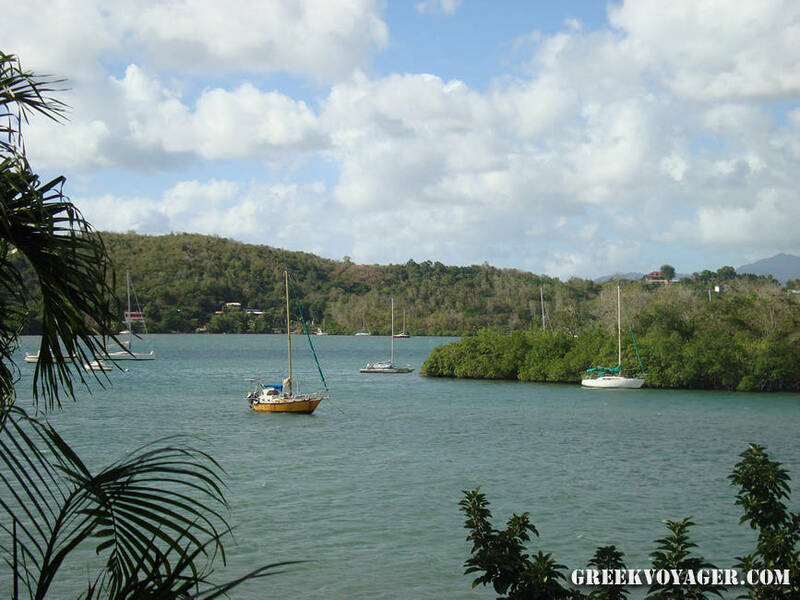 July and August are hot and humid months; it does rain often, but the weather is still rather pleasant especially if you plan to explore the island's attractions. In Martinique we can choose various activities depending on the time, mood and our hobby; hiking, water activities, diving, fishing and more. The west coast of the Caribbean Sea is calm and relaxing. The east coast of the Atlantic Ocean offers many opportunities for lovers of nautical sports. The first European who arrived in the island was Christopher Columbus. On the island lived the tribe of Arawaks, described as gentle timorous Indians, who came from Central America in the beginning of Christianity. In the 11th century from the coast of Venezuela came the Caribs, described as fierce cannibal warriors. When Christopher Columbus arrived, the Caribs had massacred many of the Arawaks but not the women. 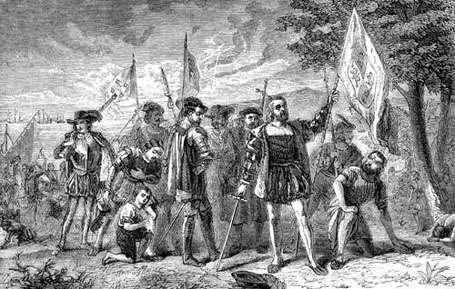 Christopher Columbus stayed only three days. He charted the island, but Spain did not care much for the territory. 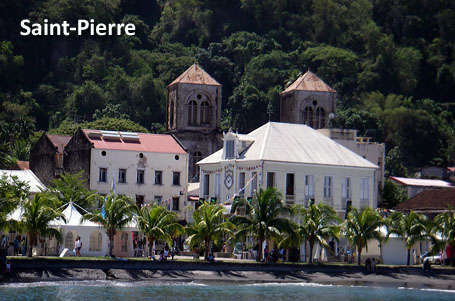 Martinique remained unexplored until 1635, when the French arrived. On September 15, Pierre Belain d'Esnambuc, governor of the island of St. Kitts, landed on the island with 150 French settlers after being driven off St. Kitts by the English. 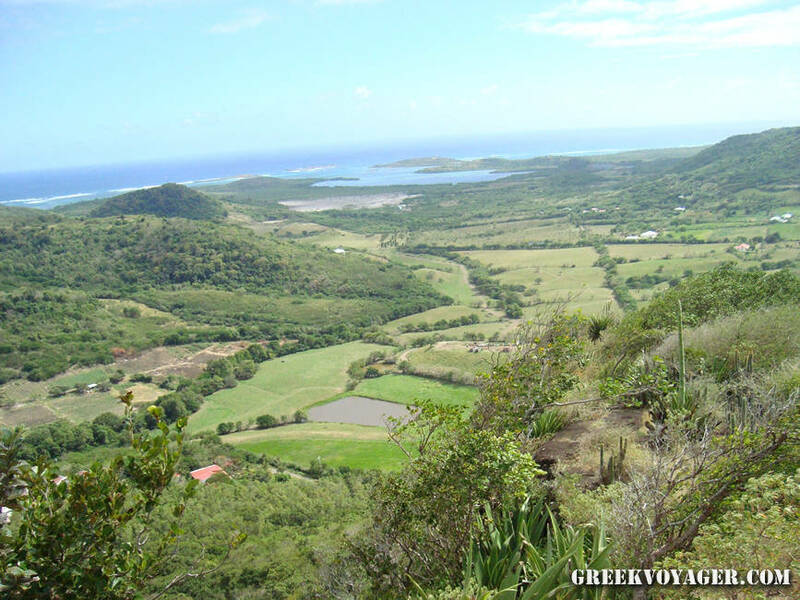 At the same time Lienard de l'Olive and du Plessis conquered Guadeloupe. The French settled in the northwestern part of the island at the mouth of Roxelane and built fortifications establishing the first European settlement named Fort Saint-Pierre. D'Esnambuc claimed Martinique for his King Louis XIII and the French "Compagnie des Îles de l'Amérique" (Company of the American Islands). On October 31, 1636 King Louis XIII signed a decree authorizing the use of African slaves in the French Antilles. The same year the Caribs rose against the French, but were pushed to the eastern part of the island on the Caravella Peninsula. Forests began being cleared to make room for sugar plantations. The skirmishes did not stop, so in 1657 six hundred soldiers came from France and in 1658 the Indians who survived were obliged to withdraw to the islands of St. Vincent and Dominica. The nephew of D'Estambucs, du Parquet, became the first governor of Martinique and he made an agreement with the Caribbeans. Τhe revolt did not take long. But the natives could not face the firepower of the French and were thrown into the sea. Some say that this incident was the cause of a curse that made two and a half centuries later the volcano Pelée to be erupted destroying the town of Saint-Pierre. The only survivor was a person held in jail. In the French Antilles there were not many Catholic priests, so many of the first French settlers were Huguenots who sought greater religious freedom. In 1685 with the Louis XIV’s Edict of Revocation, Martinique became a threatening prospect for the Protestants in France who refused to return to Catholicism. From September 1686 until early 1688 over one thousand Huguenots were transferred on the island, usually under miserable conditions. Those who survived and arrived in Martinique were given to the island planters as engagés – indentured servants under the system of serf peonage that prevailed in the French Antilles at the time. Many of the landowners were Huguenots also suffering from the commitments of Revocation and started planning to leave the island together with many of the newly arrived. The escape was not unpleasant for some Catholics, because then they could get the property of the fugitives. By 1688 almost all French Protestants had escaped from Martinique in the British colonies in America or in Protestant countries in Europe. The policy of the French Crown significantly reduced the population of Martinique and the other French Antilles and made the islands an easy target for the British in the next century. Like the other islands of the region, Martinique experienced a large economic development due to tobacco, indigo, cotton production and sugar cane. The lack of labor instigated the black slave trade from Africa from 1686 to 1720. At the same time, the wealth of the island attracted the interest of the other European nations shared the West Indies. In 1674 the Dutch had landed on Martinique, defended by a few soldiers. They attacked a storage shelter and discovered barrels of rum. Completely drunk the Dutch were thrown into the sea by the defenders of Fort Royal, which later became Fort-de-France.br/> The British invaded and occupied several times the island; among them, once during the Seven Year’s War and twice during the French Revolution and the Napoleonic Wars (1794 – 1815). During this time a beautiful Creole girl from Martinique, Marie Josèphe Rose married Napoleon Bonaparte in 1796 and became Empress Josephine in 1804. Slavery, which was abolished after the revolution, was re-introduced by Napoleon in 1802. The British returned the island to France in 1815. They abolished slavery in 1833. France followed in 1848. The Emancipation Proclamation brought end to slavery in French West Indies. In 1902 the two last major eruptions of Mount Pelée had tragic consequences. On May 8, the town of Saint-Pierre was destroyed and all the 30,000 inhabitants were dead; on August 30, there were 1,100 dead, mostly in Morne-Rouge and Ajoupa-Bouillon. In 1946, the French National Assembly voted unanimously to become the colony of Martinique an overseas department of France. 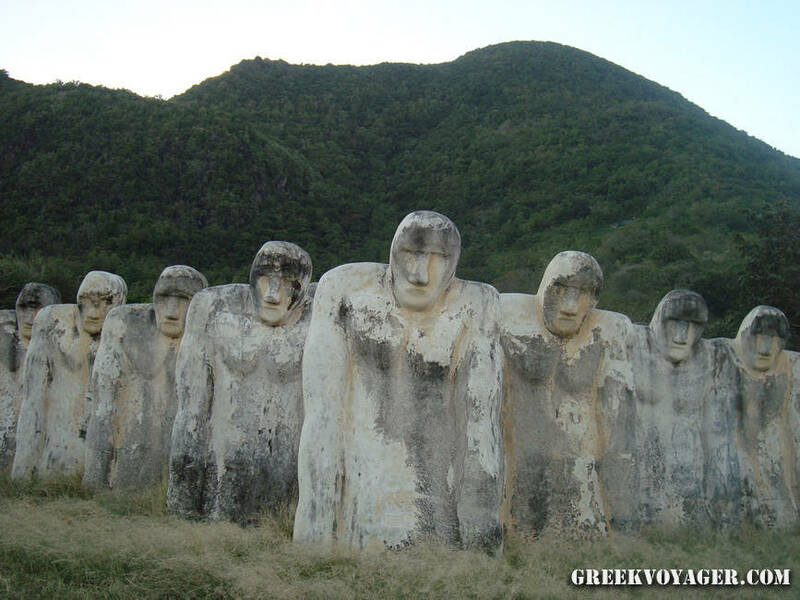 Natural attractions and wonderful landscapes around the island! Tropical forests in the north, dominated by the volcano Pelée! White sand beaches in the south, shelters for rest and enjoyment! The best way to discover Martinique is to rent a car. The majority of roads are in excellent condition. Apart from the mountainous north is an easy island to drive around. We drive on the right side of the road; unless otherwise stated, the speed limit is 50km/h in towns, 90km/h on major roads and 110km/h on the highway leading from the airport to Fort-de-France. 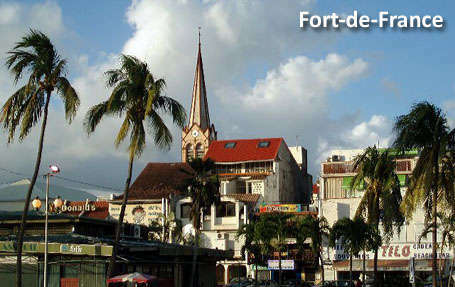 The capital Fort-de-France is at the middle of the west coast in the northern side of the large bay of the same name. The northern part of the island is the ideal place for those who love hiking. They can explore the mountains and the rainforests. 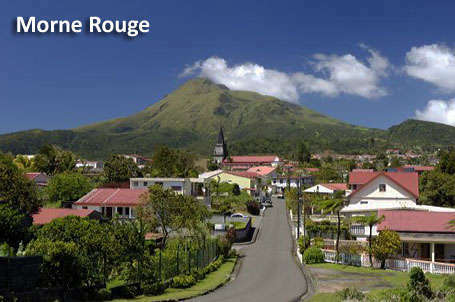 The town Morne Rouge is the access to the Mount Pelée. In the slopes of the volcano are many hiking leading to magnificent landscapes. In the west coast is Saint-Pierre, the former capital, destroyed during the eruption of the volcano on May 8, 1902; before the destruction was often referred as Paris of the Lesser Antilles. 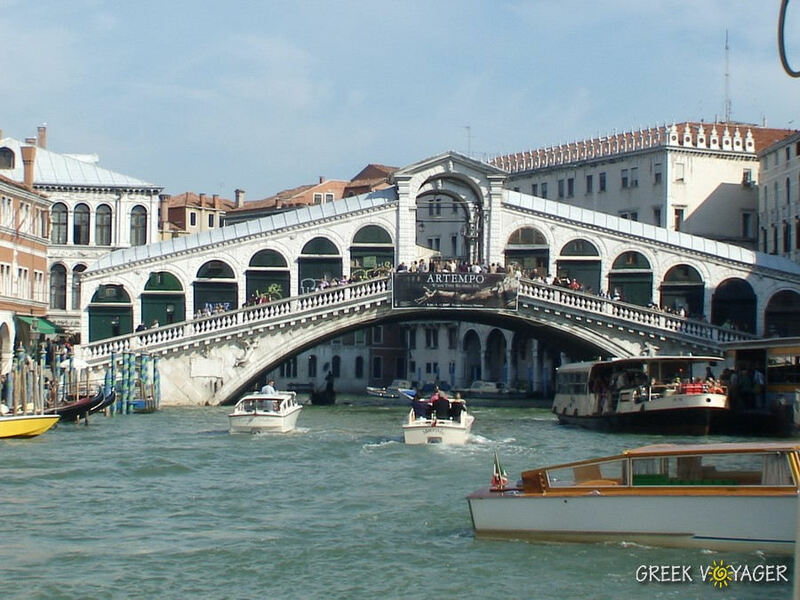 It was rebuilt, but not regained the brilliance of the past. There are historic remains. The volcanic ash created gray and black sand beaches in the north, mainly in the region between Anse Ceron and Anse des Gallets, north from Saint-Pierre. Of particular interest is the visit to the former tobacco town Macouba. The view is wonderful; to the north stretches the Dominica Chanel, and if the weather helps, at the horizon we can see the neighboring island of Dominica. 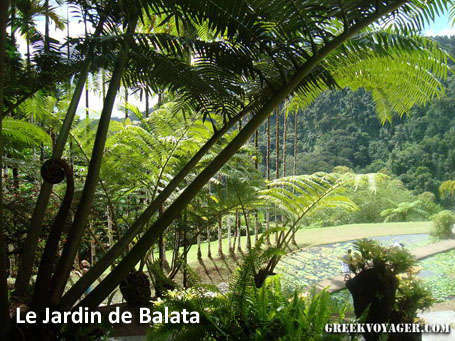 In the little town Balata is located Le Jardin de Balata a natural tropical garden with thousands of plants offering a charming walk through trees and flowers creating an amazing environment of all colors. Of special interest is the area Les Gorges de la Falaise for those who love the adventure of climbing combined with the swimming. We can also visit La Pagerie, the home of the Empress Josephine. In the east coast an oblong peninsula enters like a strange bird in the waters of the Atlantic Ocean. It is the Presqu'île de la Caravelle. Sand, sun and a nice thirty minutes walk to the edge, where is a lighthouse; the view of the whole island is fascinating. At the beginning of the peninsula in the north cove, is the town La Trinité; further north on the east coast is the town Sainte-Marie; further south the towns Le Robert, Le François and Le Vauclin. Returning to the capital Fort-de-France on the west coast we can take the ferry to move across the bay to Pointe du Bout and Trois-Islets. 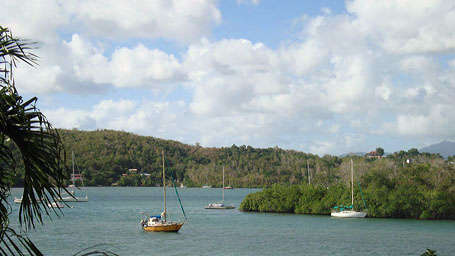 In Point du Bout we have the choice of a sailboat tour. Trois-Islets is a resort with restaurants and casino. To the south are coastal towns, fishing villages and white sand beaches one after another; a paradise for swimmers and divers; most famous among others, Grand Anse, Le Diamant facing the Roche (Rock) de Diamant, St. Luce, Le Marin which is the main harbor for sailboats, and Sainte-Anne which is the access to the other majestic beaches further south; among them Les Salines, the most famous beach, long and wonderful at the southwestern edge of the island. The main shopping street in Fort-de-France is La Rue Victor Hugo. 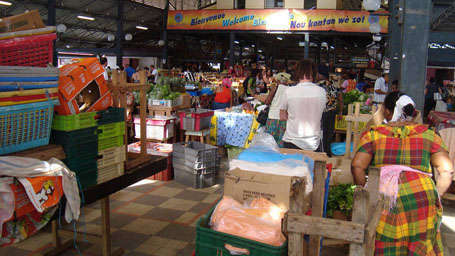 There are boutiques as in Paris, island shops and vendors of fresh fruits and flowers. Following the French custom many stores close at midday and open again later in the afternoon. Few stores are open on Sundays or holidays. Unique is the atmosphere in the Spice Market. Strolling among the colorful stalls we enjoy the traditional colors feeling the rhythm of daily life. We can buy fresh fruits, vegetables, herbs, spices and amazing flowers. 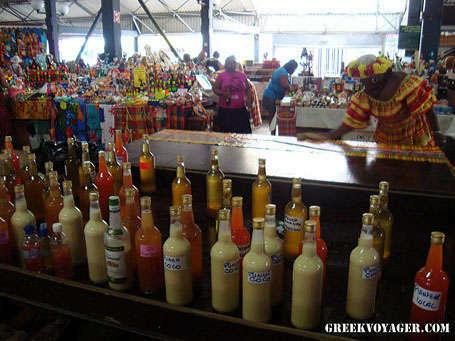 For shopping which will remind us of Martinique are various ideas; wicker hats bakoua, madras clothing, objects of vetiver roots, bamboo or rattan objects, vandoues dolls, lace, jewelry, shells, fruits conflicts; and of course, rum! The island cuisine is a great and tasty blend of French and Creole cooking. There are also elements of African and South Asian culinary traditions. One of its most famous dishes is the Colombo, a unique curry of meat (goat, chicken, pork or lamb) or fish with vegetables, spiced with other elements and often with wine, coconut milk, cassava and rum. Famous are also the stuffed crab, conch chowder, fritters (fried) or blaff blatt (fish stew). Desserts and cakes are based on a wide variety of local ingredients with pineapple, rum. Martinique is famous for rum. 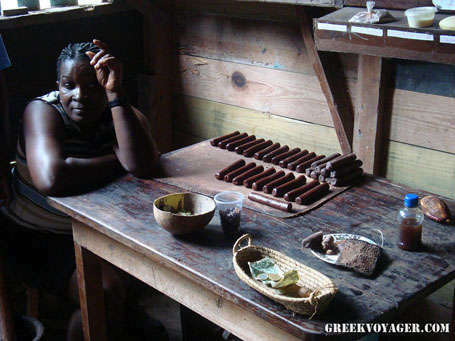 In the island there are many distilleries, in which visitors can learn the history and process of production. Primary importance has the use of fresh juice from sugarcane to produce the rhum agricole, rather than molasses as elsewhere. The sugar production has declined, but most of the sugarcane is used for the production of rum. Apart from rum, other national drinks are the ti-punch(rum, lime juice, bitters or syrup), the shrub(Christmas liqueur with rum and orange peel) and the planteur(rum and fruit juice). Very popular are the fresh fruit juices; also the jus de canne, a very tasty sugar cane drink, which isn’t fresh for long, so should be drunk quickly with some ice cubes and a dripping of lime. Buses There are very few buses in Martinique. Most bus services are mini buses marked TC (Taxi Collectifs). The destinations of the buses are marked on a board either on the front window or on the side door. Bus stops (arret autobus) are normally a square blue sign with a picture of a bus in white.